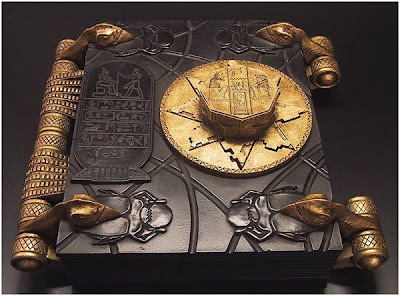 Daddy Grognard: Film Friday - The Mummy: best D&D film ever? this is cool! I've only ever managed to catch the last few minutes of the mummy, i'll seek it out. As a kid I loved the film 'Time Bandits' about the little hobbit type guys who are running away from their boss and an evil guy through holes in time and space. this would be a cool campaign setting I reckon, although maybe not a typical D&D dungeon. I tend to try and put every film character into a PC class, can't help it. That's a really good analysis of how to steal the plot of a movie without letting on where you stole it from. I've done this many many times when running games, and nothing spoils the game faster than staying TOO close to the source material and having the party spot where you stole it from. "Hey, isn't this the plot from Superman III?" I have to agree, there's lot's to mine here. And the movie's not half-bad either! The Mummy is great (as is Mummy 2 - the less said about Tomb of the Dragon Emperor the better LoL) whilst it has elements of D&D-ness about it - its more along the lines of a "gung-ho" Pulp RPG scenario for me (in fact I ripped it off for a TORG game a few years back) GREAT post though! Sure, but then I think The Magnificent Seven is a great D&D film (maybe because I have done that scenario a hundred times in games). 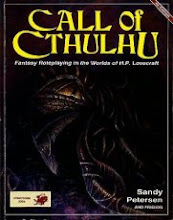 I did love the first Mummy, but I always thought it played out a lot like my Call of Cthulhu games (gunfights, army stuff, Egyptian stuff, tombs, etc). It was sure a better Indiana Jones movie than Crystal Skull! I've long contended that the writers/director (brothers, I think?) were D&D players. You've got mummies (zombie-ish and lich-ish), insect swarms, and an army of gnolls in the first movie, along with all the dungeon crawling you point out so well. 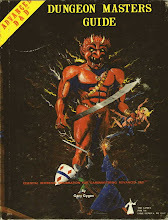 The sequel has a manscorpion, pygmie mummies that resemble the Topi (X8 Drums on Fire Mountain/Creature Catalog), and a wilderness adventure with a small dungeon at the end. The Mummy is brilliant. If you like some Universal Monster/Hammer/Ravenloft feel try Underworld 3: Rise of the Lycans (bit scary for kids) and Van Helsing. Bit of movie trivia - Jon Favreau (who directed Iron Man/Iron Man 2) credits D&D for inspired creativity & storytelling. Along the lines of The Magnificent Seven, I was going to say Seven Samurai, which is just a tad better, though they're both very good. Either of them is better than The Thirteenth Warrior, but I do have to agree with Old4Eyes that The Thirteenth Warrior is very much a D&D movie. Clint Eastwood has at least a couple pretty good D&D movies—Kelly's Heroes and Where Eagles Dare are both great caper films disguised as modern war movies, both based around interesting parties of adventurers with different skills. The first fifteen minutes of Raiders of the Lost Ark would qualify marvelously, except that it's only one PC and the rest NPCs. Overall, though, I think you're right that The Mummy is quite an archetypal D&D film. Great post! Necrothread - and I apologise for that, but my D&D movie is Big Trouble in Little China.